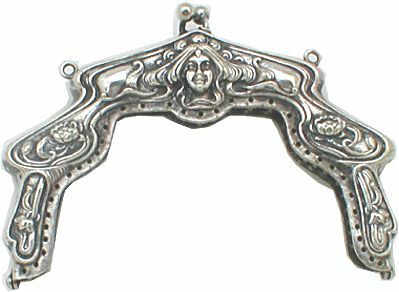 Coy's Purse Frames are available in 14k gold E.P. 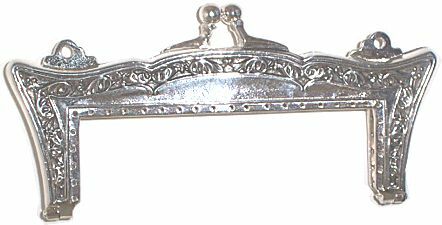 and sterling silver plate. 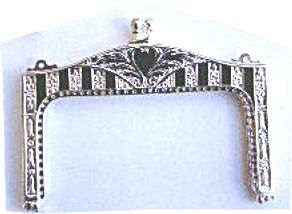 A pattern is included with each purse frame. created of the finest materials. E-mail us and type "list" in the subject space. 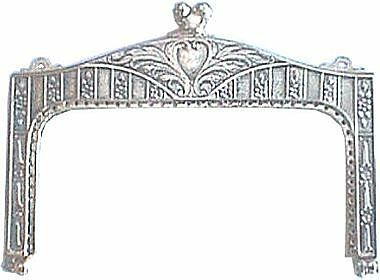 The actual size of this frame measures 4 inches wide. 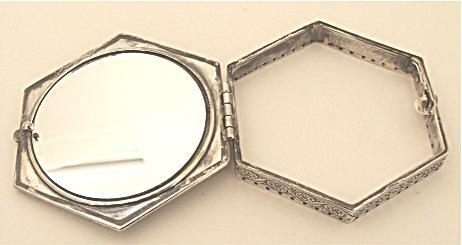 The top of this exquisite, hexagon shaped purse frame opens up to reveal a mirror inside! 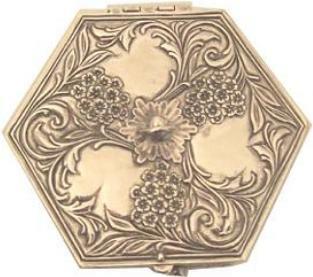 Please click here to see an image of this frame open. 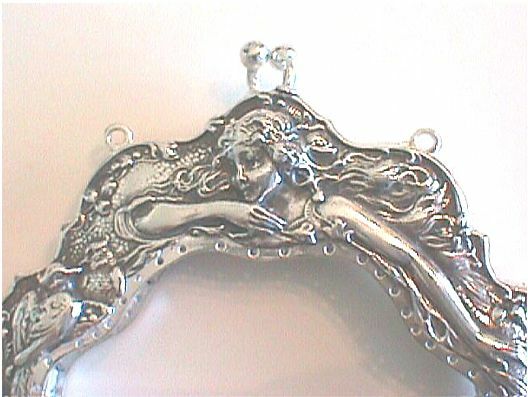 Please click here to see a close up of the detail on the Lady Delight frame. 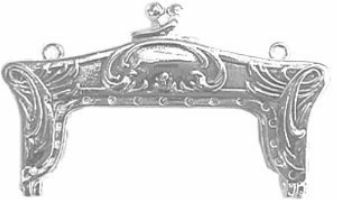 and 3 and 1/8 inches long. 3 and 1/8 inches from sew hole to sew hole and 3 and 1/8 inches long. 3 and 1/8 inches from sew hole to sew hole and 2 inches long. 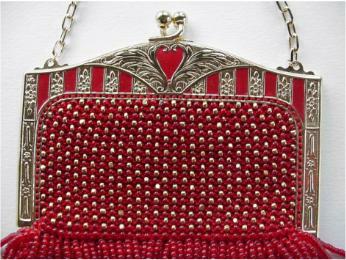 Hearts Delight purse frame is also available with colored enamel. You may request red or black enamel. Please click here to see an example of red. Please click here to see an example of black. 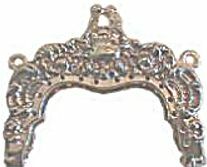 There is an extra fee of $10.00 per frame for enamel. 2 inches from sew hole to sew hole and 1 and 7/8 inches long. 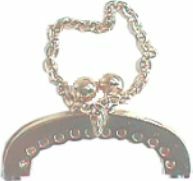 Scroll Delight purse frame is also available without chain loops so it can be used as a coin purse frame. 3 and 3/4 inches wide from sew hole to sew hole and 2½ inches long. 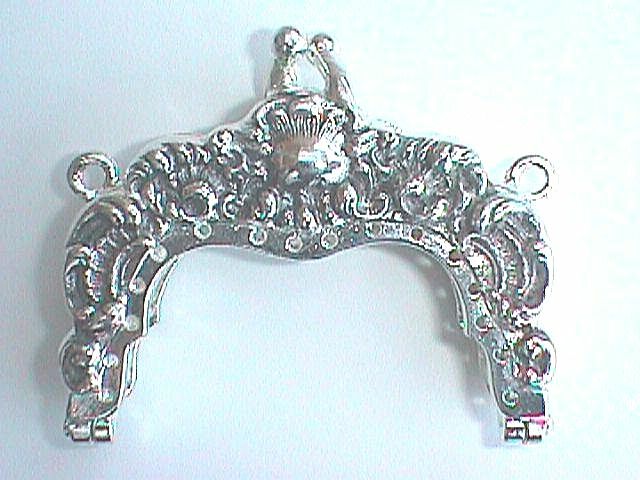 Please click here to see this frame in silver plated. 1 and 3/4 inches from sew hole to sew hole and 2 inches long. 1 inch from sew hole to sew hole and .75 inches long.